A must-have resource for presentations. Color increases memory, informs, and focuses attention. Whether you’re using PowerPoint or other presentation software, this guidebook gives you the confidence and tools you need. First, on a technical level, you’ll find out how your computer, the projector and the site affect presentations. Second, you’ll learn how to use color for legible text and eye-catching effects. Third, the book presents guidelines for creating attractive visual designs that sustain interest and enhance presentations. Fourth, how colors communicate meaning and serve as a source of subliminal effects is covered in theory and application. And much more! Guidelines for choosing the most attractive colors for slide design You’ll find solutions for all presentations as well as guidelines for individual slides – from enlivening text to enhancing charts and graphics. Foolproof rules for creating most legible and eye-catching colors for text. This is one of the most overlooked areas of all presentations. Make sure you’re using the best and colors for legible text and avoiding the worst ones! An analysis of the most powerful symbolic colors. Symbolism definitions and RGB/HEX formulas are included for 77 of the most commonly used colors. If you see a color that packs the right symbolism for your presentation, the formulas are right at your fingertips. I purchased your PowerPoint eBook on the same day I was to teach an advanced PowerPoint class to my medical center staff. While searching for a new text online, I noticed this book might cover theory and methods as applied to PowerPoint. 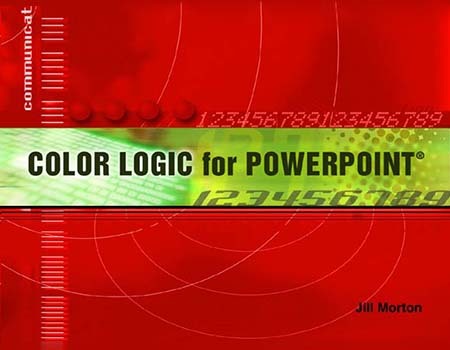 As a 25+ year visual communications veteran, it has been my experience that even advanced PowerPoint users struggle with the effective use and choice of color.